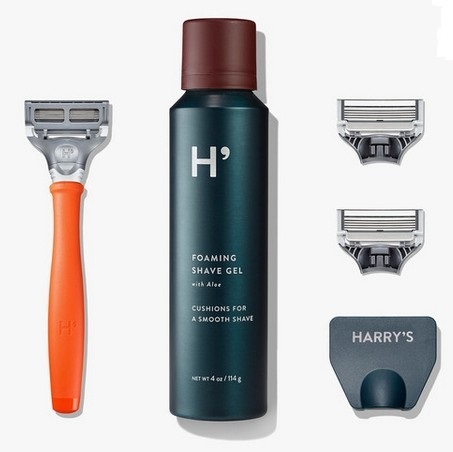 Harry’s is a new comer to the shaving party. This on-line store appeared about 3 years ago and offers a very appealing and convenient alternative to the current state of procurement for men’s shaving supplies – specifically: blades. You can read all about that on their site. Here we review the product. 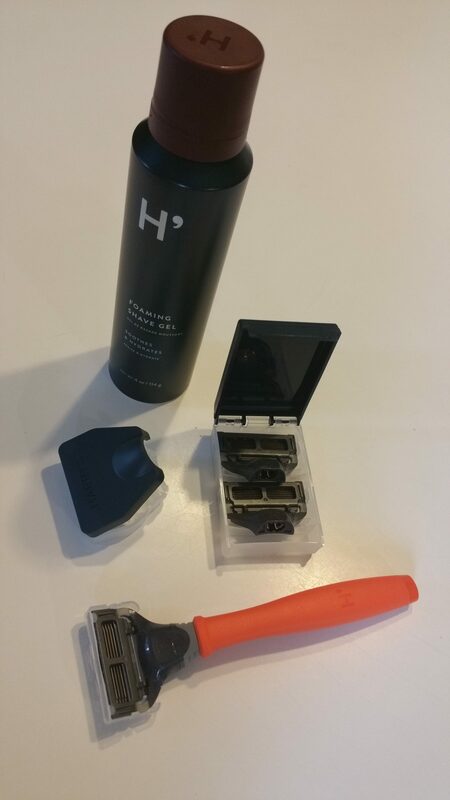 Since there is no store to buy the Harry’s razor or blades or cream/foam, the whole process is done on-line. It is very slick and simple. Beautiful interface. The shipping is also impressive as I got my first kit within 2-3 days. You are then in for a very nice un-boxing. Yes, my friends, Harry does things in style! The box is lovely and everything has it’s places. The packing is ace’s. It’s the attention to details, like the little case for the blade of the razor and the fact that you don’t have to buy that as an add-on. In my first order I had gone for the tube cream. At the time, their razor only had 4 blades and no back side trimmer. 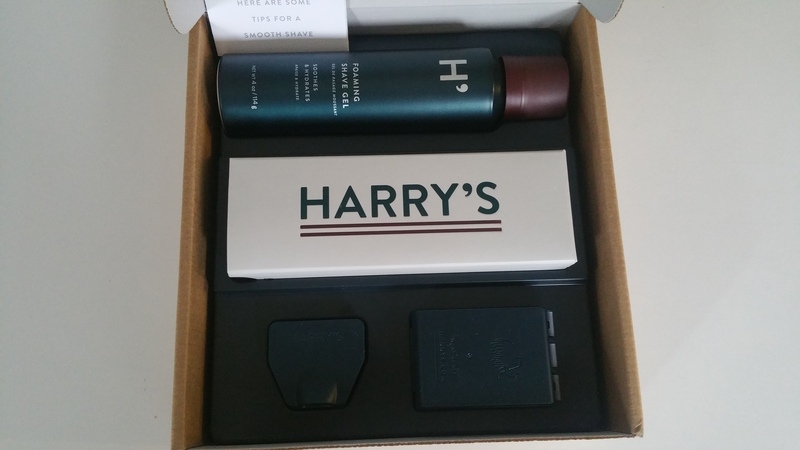 This made it less appealing than the Gillette razors, but the Harry’s novelty almost made up for it. Upon trying the razor out, it didn’t feel as smooth as what I had become accustomed to. The cream was also…let’s say basic and offered less lube than I wanted. That being said, the total package was a tad less than the Gillette option, so in that sense it was a worthy deal. This was in 2015. 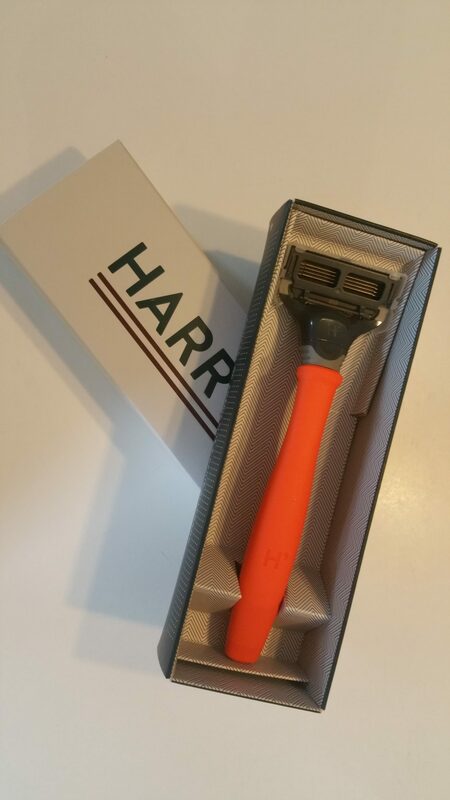 In 2016 Harry’s has come out with a new razor head hat has: 5 blades, a trimmer and some pivoting or flex between the blade part and the handle. I have just ordered my Truman set and will let you know how it goes in the coming days. The newest Harry’s razor and blades came in on Friday and Saturday morning was testing time. 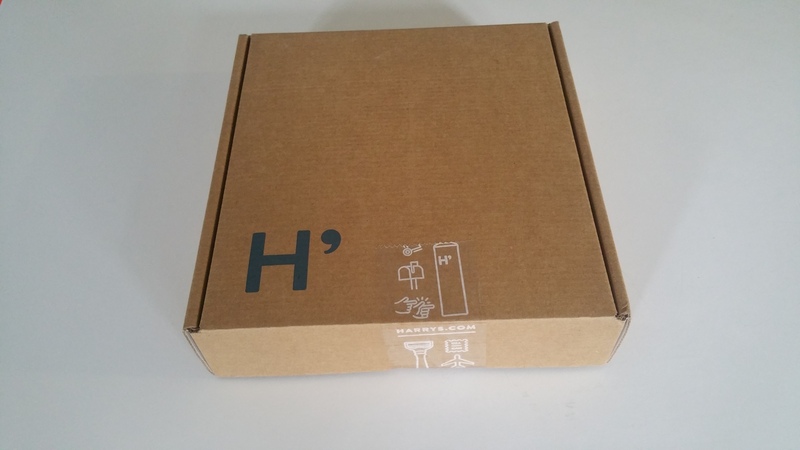 Before we get into it, something as to be said about the quality of the packaging and the attention to details. You are not just getting a razor, you are getting a kit. Razor, foam, blades and a protective case for the blades. For that alone Harry’s should get some points since no one else is offering this that I know of. First the newer razor handle offer a better grip. I had ordered the shaving gel/cream this time. See pictures above. The stuff comes out as a gel that you rub into a cream on your face. It is very tick and feel generous. I actually might of used too much as I wasn’t expecting it to be so tick. It covers the face rather well. Onto the shaving. The gel covered so well that the blade couldn’t quite get through the first time. That just took a little getting use to and the shave went well. The new trim blade on the back side does the trick and I could do under my nose and my side burns fairly easily. I say fairly easily as it did not trim as well as the Gillette blades, but maybe that was just my getting use to this razor. I don’t want to just rule it out after one shave and will use it for a few days before giving a final verdict. Rinsing the left over cream was simple and overall I felt well shaved. I would suggest to get the gel/foam as opposed to the tube cream. It is clearly a better option: tick and creamy. The scent is extremely mild and your face won’t be left with that first scent. I would also say that this newer razor and blades are better than their first offerings. The razor kit as a whole is a decent alternative to the other cartridge blades out there, i.e. Gillette. The shave is good and you are getting a good deal for your money. Personally I am still favoring the vibrating Gillette Fusion Proglide as it is one notch above. This being said, my next tests are going to be with a double-edged safety razor. Other guys out there are presenting some pretty good arguments for going back in time and shaving with a safety razor. Cost and quality of shave being the recurring arguments. After some shopping, I opted for the Men Essentials house razor which is only $13 as my starter razor. I also ordered a sampler pack of 45 blades for $13 blades from Amazon. The cost argument is pretty strong. We’ll see if the shave quality argument is valid.